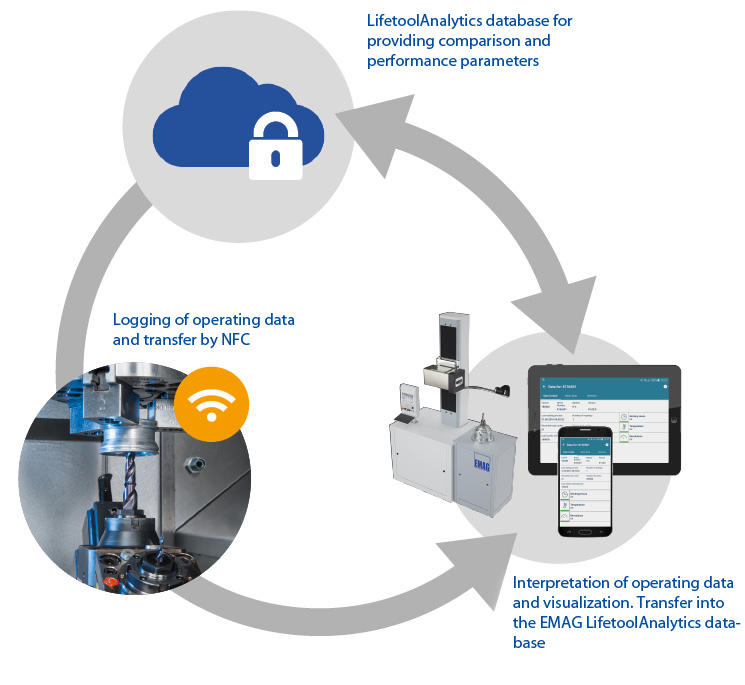 With LifetoolAnalytics, production losses caused by worn machine tools are a thing of the past. 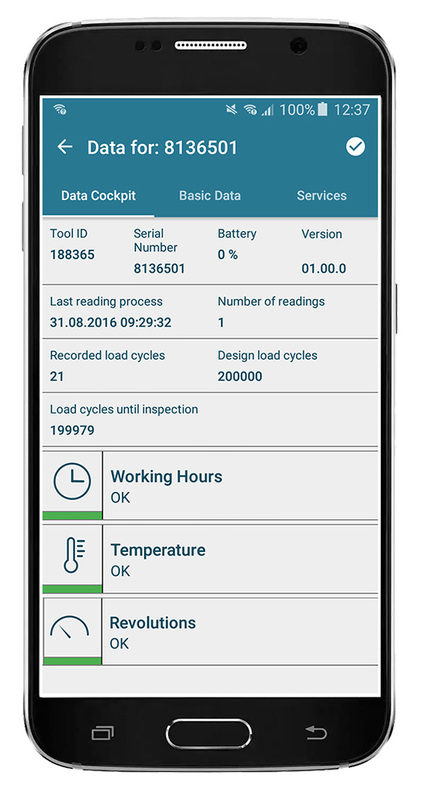 LifetoolAnalytics provides monitoring of driven tools for overload and state of wear, and thus allows optimum planning of service times and tool changes. LifetoolAnalytics is a module that uses an NFC system to monitor driven tools. The tool is equipped with an NFC chip that records operating data during the machining process. LifetoolAnalytics records hours in operation, rotational speed ranges and temperatures. This data is saved to the NFC chip on the driven tool. It can be read and analyzed via NFC sensors, by e.g. a tool preset device, tool management system, or even a smartphones or tablet. The operating data is sent to the tool preset device or to a smartphone/tablet. The Analytics database sends the comparison values directly to the end device. A comparison with other data from the Analytics database makes it possible to determine the tool’s wear condition. Simple operation was a priority in software development. For example, the overview page shows a rough status report that allows an initial assessment by a traffic light system. If required, a detailed analysis can be issued, which provides further options for optimization.